One of the things I appreciate about The Langham’s Tiffin Tea is that it’s one of the few around town where the sweets aren’t allowed to hog the limelight like some irritating child star that won’t leave the stage. 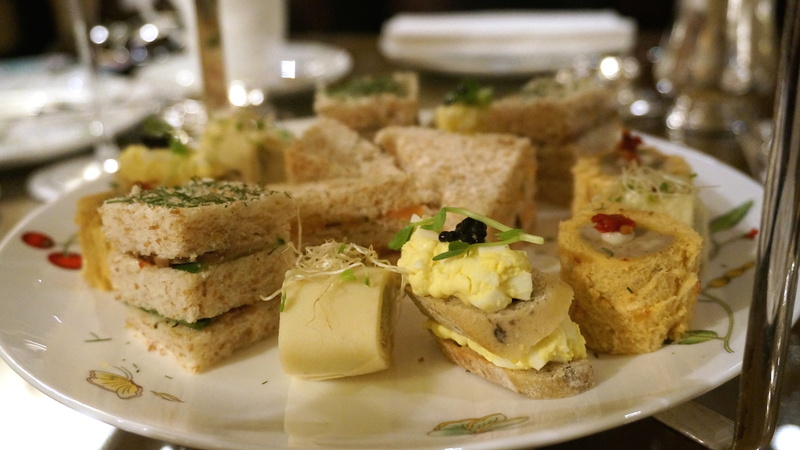 You know I love my desserts even more than most people but with so many afternoon teas in Hong Kong now total sugar overloads, I welcomed the nice variety of sandwiches here with open arms… or should that be jaws?! Best of the bunch was the Wagyu beef, black truffle butter and cucumber sandwich; full-sized, I’m sure this would have been rich enough to induce gout in seconds, but in its teatime shrunken version, it was just the right dose of meaty, salty and delicious. The de rigeur smoked salmon sandwich was given a welcome extra punch thanks to some horseradish cream, whilst the crepe roll with avocado and crabmeat was a nice contrast to all of the above by channelling light, fresh summer picnics in one ladylike bite. Paul Lafayet have taken care of all the sweets for this tea set – and largely, very successfully too! 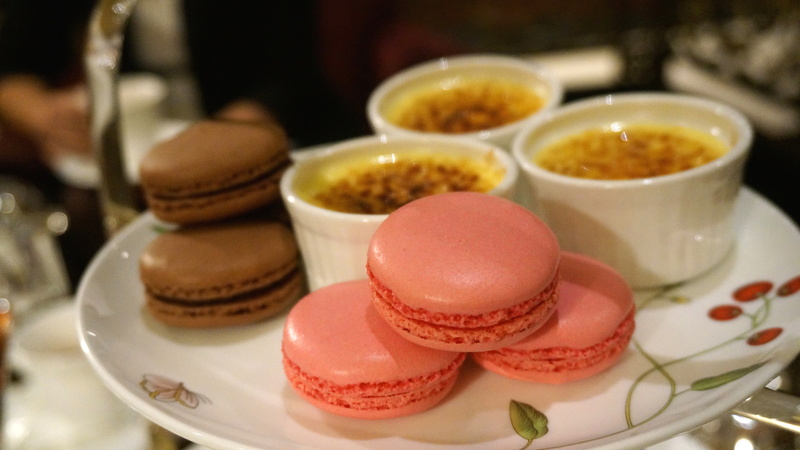 I’ll actually start with the one disappointment – their macarons, which I found too dense and chewy, whilst the flavours for that day (chocolate and rose) were just too sweet. Perhaps some tarter fruit flavours might have been better? That aside, I all out loved their chocolate craquelin; I actually started rationing this throughout the rest of my meal as I didn’t want the experience to end – a sinfully rich, dark, gooey chocolate cake, with a crunchy crackling base. The very antithesis to a rose macaron in fact! Meanwhile, the other sweets (blueberry cheesecake and a strawberry tart) were also good, and the injection of some fresh fruit was a welcome addition to the set. 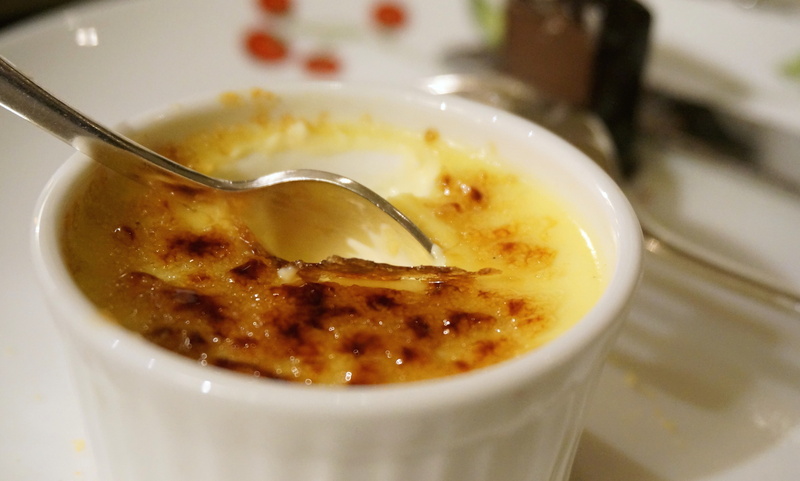 I’ve had Paul Lafayet’s crème brulee before and it’s easily one of the most consistent in Hong Kong (where you are often served liquid custard, a curdled sponge or some equally unappetising variant on the two). That all-important crack-through-caramelised-crust was joyously present, whilst I loved the strong but natural taste of vanilla that ran throughout – a sweet, clean, lovely and refined dessert. 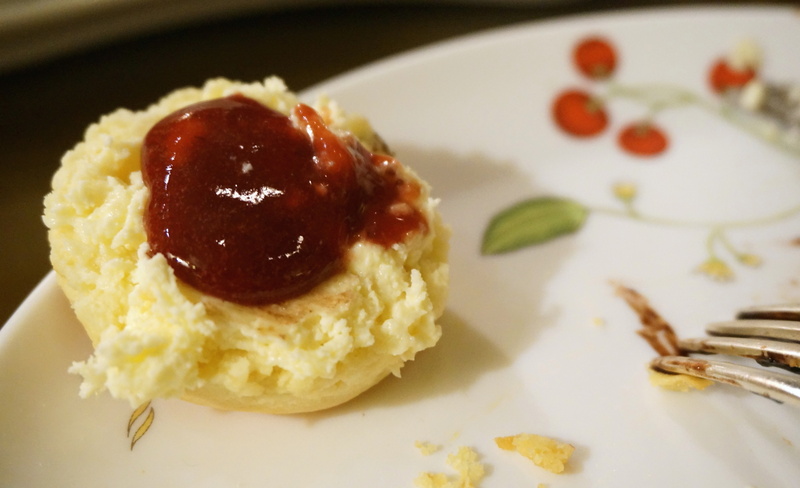 Whilst The Langham’s scones themselves were good (dense, buttery), there was something weird going on with the cream; I think it had been left out a little too long and consequently turned unappealingly claggy, although the very accommodating waiters changed it as soon as we mentioned it. 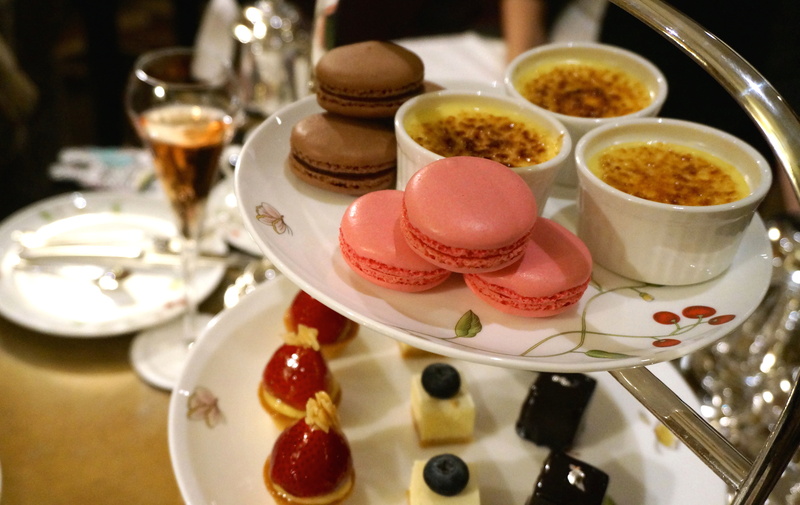 So if you need proof that high-quality hotel afternoon tea does exist outside HK Island, a relaxed teatime in the cushy surroundings of The Langham Hong Kong should do the trick. 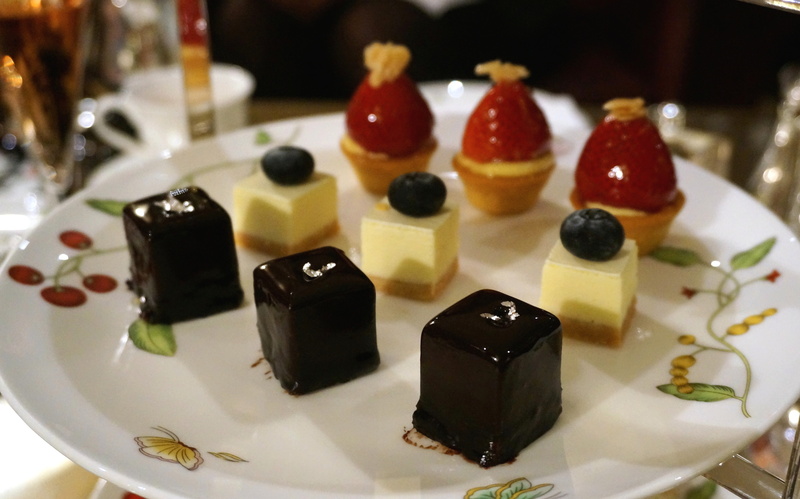 Given the often-crazy hustle and bustle of Tsim Sha Tsui, Palm Court’s hushed interiors offer a welcome respite from the Mainlander madness… and what better respite than one that involves chocolate cake and flower-printed crockery? 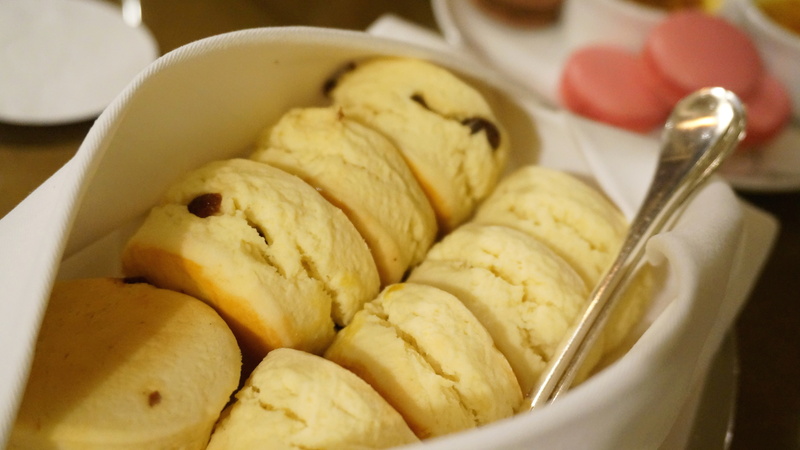 This entry was posted in Food, Hong Kong and tagged afternoon tea, afternoon tea hong kong, afternoon tea Tsim Sha Tsui, best afternoon tea hong kong, best afternoon tea Kowloon, best afternoon tea Tsim Sha Tsui, best scones in Hong Kong, high tea, Palm Court, Paul Lafayet, Paul Lafayet afternoon tea, review, The Langham Hong Kong, Tiffin afternoon tea, where to have afternoon tea Hong Kong, where to have afternoon tea Kowloon, where to have afternoon tea TST. Bookmark the permalink. Hi, Rach! Sorry, I just lost track of the link, but I’ll still look for it.